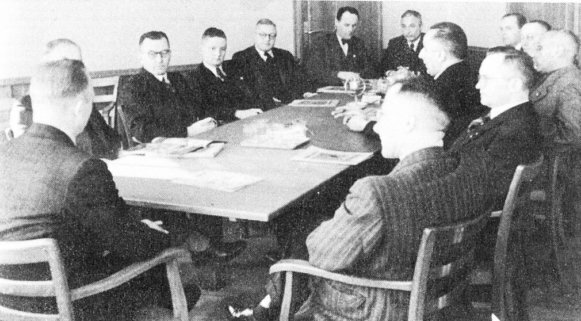 In March 1937 the German Academic Association for Prodiction Technology (WGP) was founded initially as the University Group Science of Management (Hochschulgruppe Betriebswissenschaft – HGB), later the University Group Production Technology (Hochschulgruppe Fertigungstechnik – HGF) on the premises of the Association of Machine Tools (Vereins Deutscher Werkzeugmaschinen) on the Messe Leipzig. Looking back, this sentence was formulated by one of the founding fathers of the WGP. Pronounced at a critical time, it has stayed throughout the changeful phases of the WGP history up to this day and it has promoted the bearing idea of a close connection between science and industry. Even if research was being influenced by the emerging war, some basic thoughts were already indicating future developments. For example, high quantity outputs and extensive rationalization were high aims to be scientifically supported. The mere description of production processes, which was customary up to the change of the century, was no longer sufficient. Its physical and technological foundations, the interaction of tool, material and machine had to be explored. Interchangeability was recognized as an important means of rationalization and promoted by papers on production measurement technology and standardization. In the field of tool machines, the renowned production technician Georg Schlesinger had already recognized the working precision of machines as decisive in 1927. He had defined it in his “Inspection Book of Tool Machines“ and, thus, most likely made a crucial contribution to the quality and acceptance of German tool machines on the market. Consequently, research on the dynamic and thermic behaviour of tool machines followed in the university group. Quality requirements and shortage of specialists due to war directed the focus on innovations for automatization. In the first post-war years, teaching and youth development were the priority, one of the pillars of the university group. In research, the technological work of the war period was continued. For the further development of automation, mechanical, electric and first electronic controls were investigated. The search for new possibilities of rationalization for the production of medium and small series increased. The breakthrough came from the USA in 1952 with the development of the numeric control at the MIT. 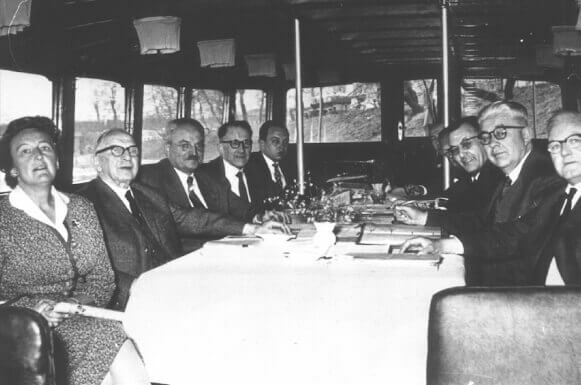 Some years later, intensive research on this field began at the chairs of the university groups. The approach in the USA, exclusively oriented towards geometry data, was enhanced, here, by technological components. A series of papers which were defined as a joint assignment of the university group were taken up and successfully introduced into industrial production and teaching, among these were adaptive controls (AC), computer-aided construction (CAD), computer-aided manufacturing (CAM) or also linking of machines in flexible fabrication systems (FFS) via hardware and software. The university group increasingly understood itself as a consultant and stimulator in questions of production for the political deciders. For example, WGP researchers discuss research activities that Germany should initiate and develops research initiatives together with the federal government. Since its existence, the WGP has also advocated for modern forms of knowledge transfer and the admission of current contents in teaching. One example for this is the origination of the WGP production academy in 2015 where company employees as well as students can graduate further trainings ranging from simulative-theoretical over practical-production-oriented up to economical-organizational. Therefore, the WGP can rightly claim to be training the internationally sought-after junior management for the German industry, too. This is how the nationally and internationally recognized WGP has been meeting the important social challenges by means of its research, teaching and further training as well as by advising the political deciders for 80 years now. It is, thus, making an essential contribution to the excellence of the production location Germany.